Quasar Data Center and OpTerra Energy Services have formed a unique partnership that works with both public and private sectors customers, to modernize their infrastructure by developing customized energy efficiency and related operational improvements. All of the energy efficiency and operational improvements will be made while working within the existing budget and OpTerra will guarantee the annual savings. 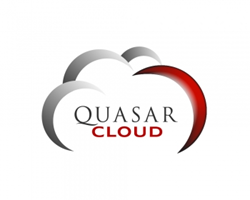 The Quasar and OpTerra team develops the customized infrastructure implementation plan by performing a comprehensive energy assessment that includes migration to cloud computing, replacing aging air conditioning equipment, modernizing control systems, and making lighting upgrades. Both individually and collectively, these improvements modernize existing infrastructure while simultaneously reducing both energy and operational costs. The savings derived from integrating 21st century cloud computing services along with other facility improvements and operational improvements all work hand-in-hand to help transform the way customers operate. The focus is always on making positive business impacts that in turn make a real difference on improving mission capability. Schools, colleges, cities and companies can participate in the program and the benefits go beyond cost savings particularly in the area of cloud computing. Most recently an integrated program was successfully completed at Midland College. “There are substantial improvements in IT infrastructure that includes enhanced security, support, performance and capability,” states Dr. James Peters, Quasar’s VP of Technology. About OpTerra Energy Services: OpTerra Energy Services, with Texas offices in Dallas and Houston, is a national energy company that partners with school districts, cities, counties, and commercial and industrial firms to implement comprehensive sustainability solutions that save money, generate revenue, improve assets, and protect the environment. OpTerra has worked with over 100 cities across the U.S., working to advance LED streetlight design and implementation for the benefit of residents. For more information visit http://www.OpTerraenergy.com.